River Place Inn is located on the Parkway in Pigeon Forge. Rooms feature two queen beds or two double beds with refrigerator, microwave, coffee maker, hair dryer and free Wi-Fi Internet access. 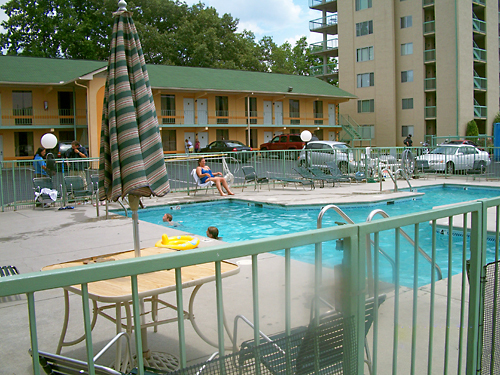 It also offers smoking and non-smoking rooms and an outdoor pool. Feed the geese and ducks. Bring quarters for food machines. 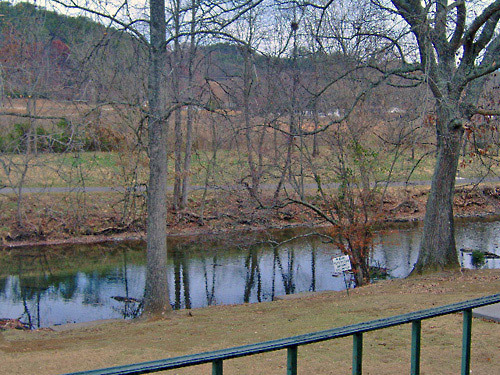 Picnic table near the riverbank. Next door to Red Rooster Pancake House. 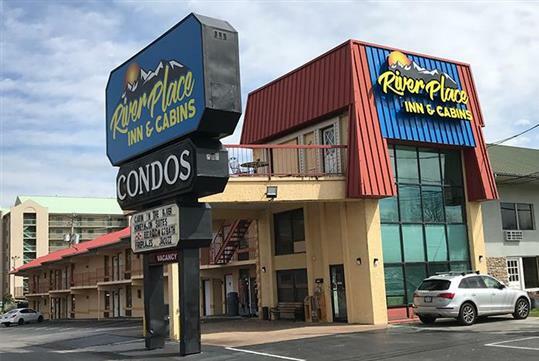 River Place Inn is centrally located near traffic light #6 on the Parkway in the heart of Pigeon Forge and adjacent to the Little Pigeon River. 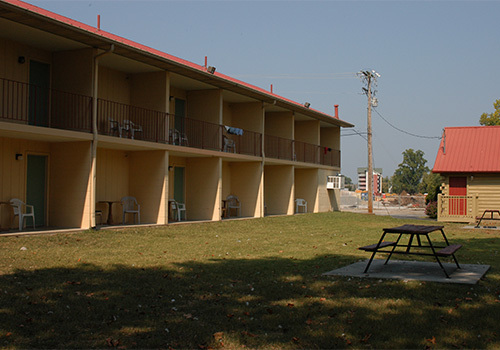 This modest, family-owned motel features 52 rooms arranged over 2 floors. 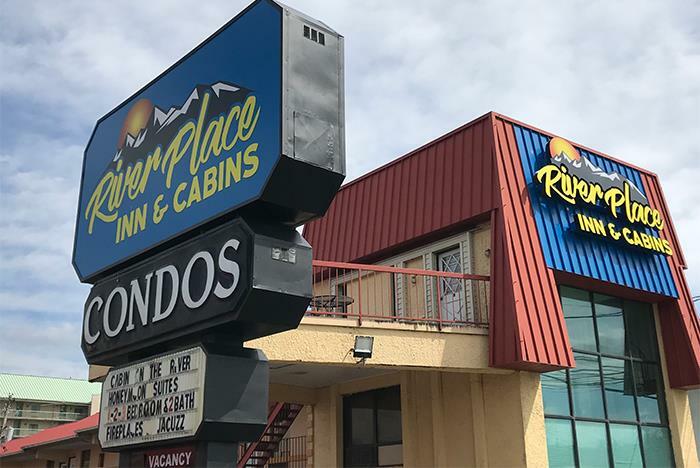 River Place Inn is next door to the Red Rooster Pancake House and near many area attractions. 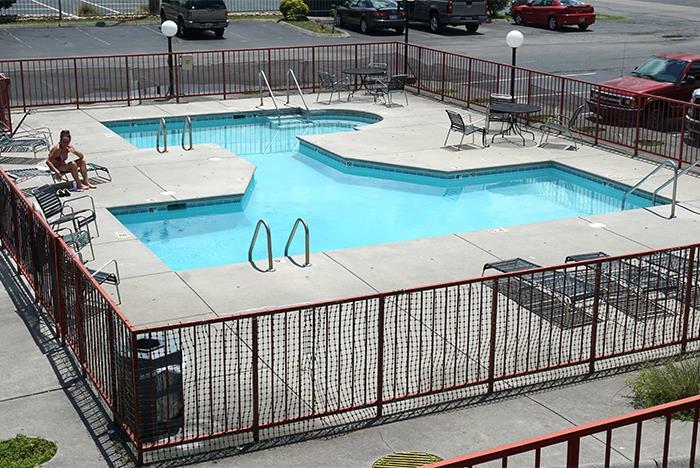 Amenities include a seasonal outdoor pool and riverside picnic area. Our rooms feature two queen beds or two double beds with mini-fridge, microwave, coffee maker, hair dryer, and complimentary WiFi. 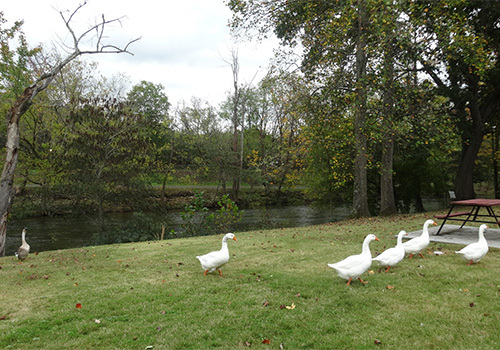 Come visit us and enjoy your stay in Pigeon Forge.